Manda and I live in London. There are so many fantastic and historic pools all across the city, only a fraction of which we have ever swum in. To try and rectify this we decided, along with some of our swimming friend (Katie, Brian, Pivo and Lisa), to embark on the “Winter Pool Challenge 2014/15”. The rules are simple. 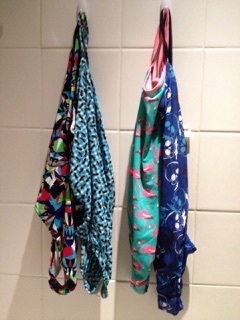 You have to swim in as many pools in London between 1 October 2014 and 31 March 2015. You have to swim at least 1km in each pool and it has to be a pool which is open to the public – no gym pools allowed! For more details on the challenge see Manda’s previous entry https://teammermaids.wordpress.com/2014/10/13/winter-pool-challenge/. I am due to have my first baby on 27th January 2015 and therefore I decided I needed to get a bit ahead of the game before I am out of action for a bit. I therefore managed to persuade Manda to come of a “pool crawl” with me one Sunday. This is like the 30 somethings swimmers equivalent of what 20 somethings do on Saturday night. Who says swimmers aren’t super cool? Brian and Pivo were also up for the challenge. Manda meticulously planned the route around South West London to ensure that we hit the pools during lane swimming time rather than during swim for all. We were allowing an hour for each pool. 20 minutes for swimming, 20 minutes for changing and 20 minutes for travelling in between. We started the day at Richmond Pool on the Park. This is not a new pool for us but it is lovely. The site has an indoor 33.3m pool and an outdoor pool. The outdoor pool is heated but not open during the winter so it was the indoor pool for us. The pool was nice and quiet and as a special bonus we spotted James Cracknell, rowing legend, leaving the centre. Despite Manda’s careful planning the day did not get off to an auspicious start when Pivo got on the wrong train and ended up in Staines! I didn’t mind so much as this gave me time for a bit of a head start. Being 38 weeks pregnant means I am sadly not as quick as I once was! 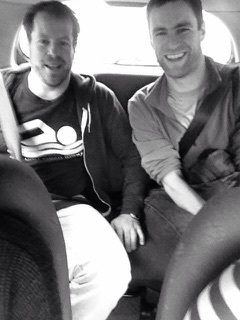 Despite the delay we were back in the car by 2.10pm and on the way to Putney Leisure Centre. 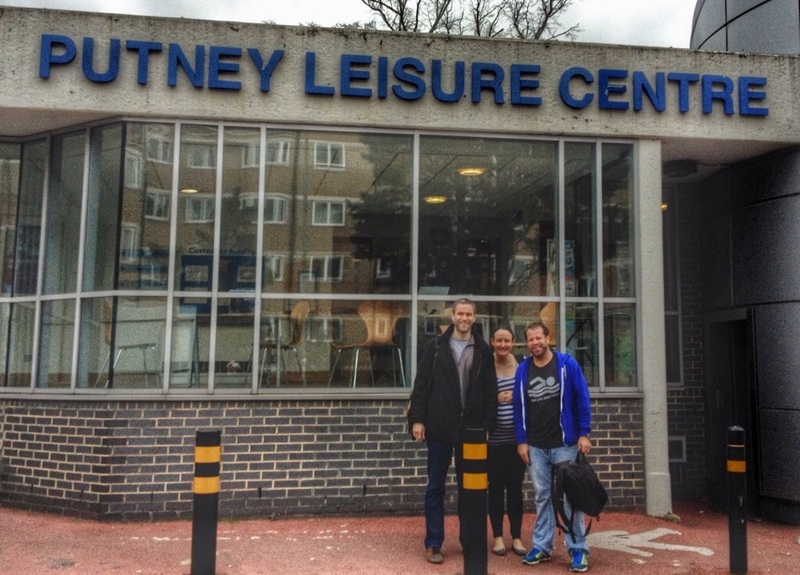 Putney holds a special place in my heart as it was the pool I did my first gala in and where I made my first final (66.6m breaststroke) aged 9. Manda and I also regularly swim in this pool with Swim For Tri. On a Sunday afternoon though the pool is quite busy and I was glad we were only doing 1km. After Putney it was time for a cake stop at the Wimbledon Windmill Tearooms (http://www.windmilltearooms.com/) – yay! After some refreshments (I mean cake) we were on the road again to Morden Leisure Centre. This is a new pool for me and I can’t say I would hurry back there! On the plus side it was quiet and we had a whole lane to ourselves. 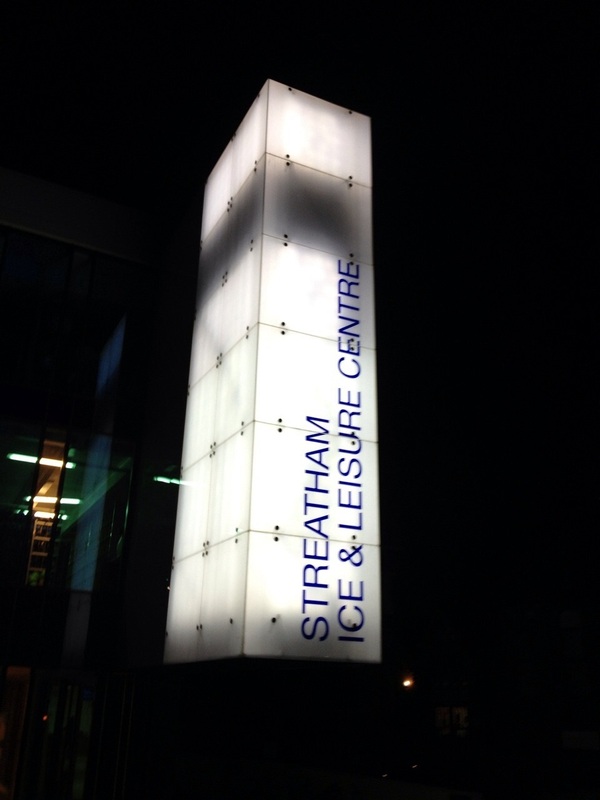 The final pool stop of the day was the newly refurbished Streatham Leisure Centre. This pool is lovely with facilities for swimmers of all ages and abilities. We had managed to make for the adults only session but this did mean that the lanes were pretty busy. The centre also has an ice ring (I was keener to go ice skating than swimming)! 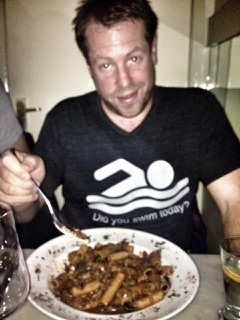 After all the swimming we felt we deserved some pizza and pasta at a Term Mermaids favourite Bucci’s in Balham. Overall it was a great way to spend a Sunday. 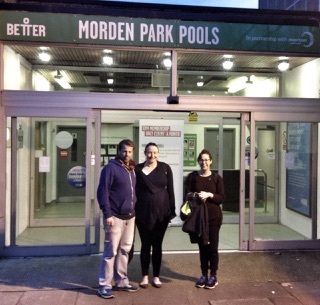 North / East London Pool Crawls are already in the planning!